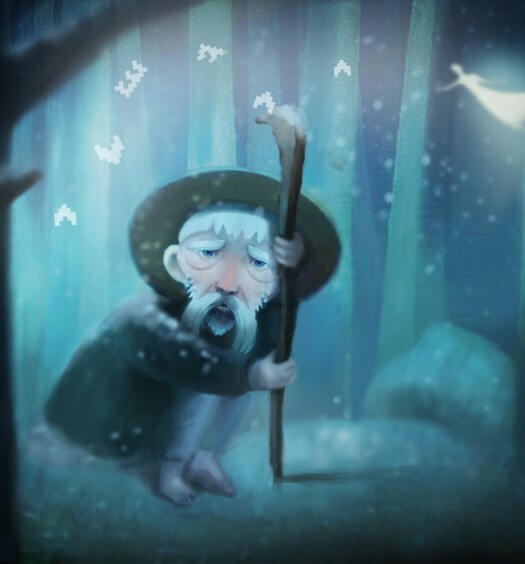 Never Alone was developed by Upper One Games and E-Line Media and published by E-Line Media. It was released on November 18, 2014 for $14.99 on Xbox One. A copy was provided for review purposes. 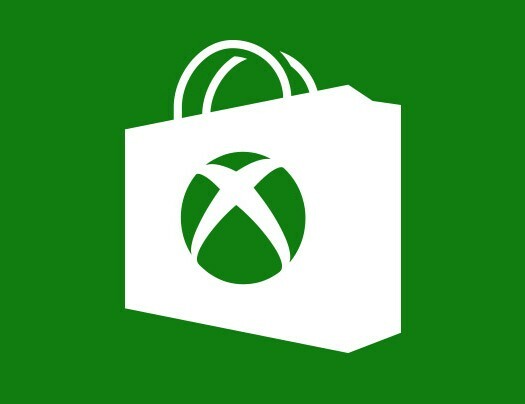 Do you remember the arrival of the first tightly crafted indie Xbox sidescroller that disproved the notion that a Big Developer with a Big Budget was needed to create games of the highest quality? Neither do I, and that’s because it’s an event guilty of such unrestrained reproduction that it’s hard to recall its inaugural occurrence. Was it the release of Limbo? Mark of the Ninja? Braid? Something else? Regardless of what game kicked off this most welcome — even if now slightly clichéd — trend, it’s seemed apparent since its announcement that Never Alone would be the next game to continue the movement. Its pretty graphics, intriguing setting and story aspiring to teach players something new caused many to think that Never Alone would be the next big little game. Maybe that’s an unfair burden to have placed on it. Maybe gamers should have instead anticipated only a game that would deftly introduce them to a culture that was heretofore both underrepresented and misrepresented in popular media. 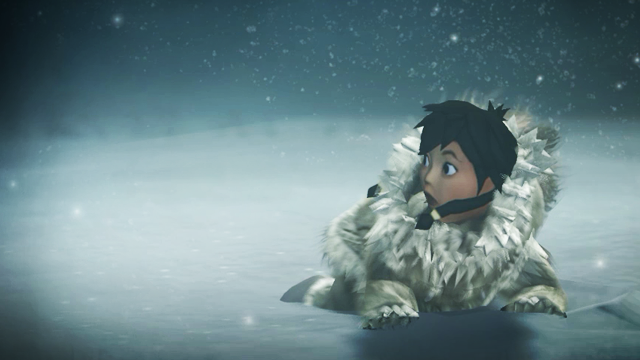 Certainly Never Alone does just that, offering a glimpse at the Iñupiat people’s ways that’s worth seeing. But while Upper One Games and E-Line Media have wonderfully succeeded in educating their audience, they’ve come up disappointingly short in entertaining it. Pleasantly familiar — Never Alone‘s developers use well-worn gaming tropes to advance the story almost as often as protagonist Nuna uses ropes to advance the game. That probably sounds like a complaint, and were this another game it might very well be. Here, though, clichéd like the smoldering home village, MacGuffin-obsessed Big Bad and mystic NPC are put to good use. 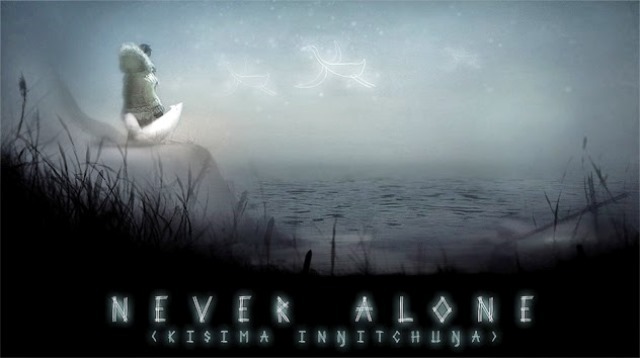 Never Alone, or “Kisima In?itchu?a” in Inupiat, weaves a narrative based on indigenous Alaskan folklore. In doing so it endears you to a culture best known for its precipitation-based abodes and shows that Inupiat stories may not be so different from those told throughout much of the rest of the world. Rich history — Brief live-action videos that taken together feel like a miniature documentary are unlocked throughout Nuna’s quest. This footage answers questions I didn’t even know I had about why Nuna is accompanied by a playable arctic fox, why an enemy type behaves the way it does and why certain environmental changes transpire. The simultaneous explanation of game design choices and Iñupiat customs will encourage you to watch the majority of these videos the moment you unlock them. 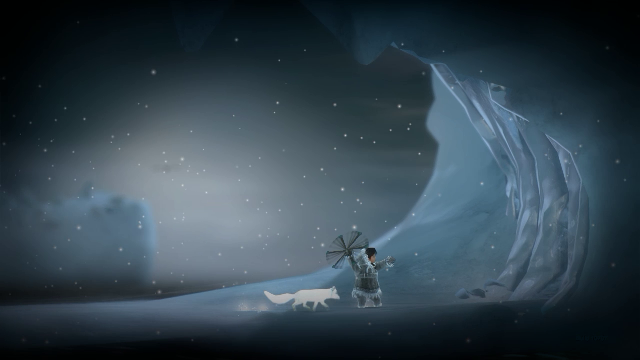 Oh, more of this — As for Never Alone‘s quest, it starts well enough with Nuna and her fox fleeing a hungry polar bear. This section instills an understanding of how running and jumping work in the game, presumably showing off the basics before Upper One and E-Line start building towards a more dangerous and exciting crescendo. As it turns out, though, it’s wrong to be presumptuous. Never Alone isn’t so much about climbing a mountain or experiencing a series of hills and valleys so much as walking across a (figurative) flat plain. To be fair, the game does eventually introduce spirit animals that serve as movable platforms and switches up the way you interact with them in the last few stages. This, however, does little to up the perceived urgency and the challenge increases mostly because things sometimes don’t work the way they’re supposed to (more on that shortly). When a final escape stage loaded after what had looked like the end of the game, it elicited a groan over the thought of having to schlep through another section before being rewarded with the story’s conclusion. That can’t be right — Pulling up the game’s menu at any time reveals an option to restart from the previous checkpoint. This is useful since you’ll often die because… well, it’s not really clear why. Although a fix is supposedly in the works, Never Alone suffered from some bugginess that affected gameplay during my pre-release play sessions. On several occasions, Nuna landed safely on a platform only to fall over and begin spasming. She wasn’t dead, but it was impossible to continue playing. One final frustration came in the penultimate level when Nuna needed to leap from a moving platform to a spirit animal platform and grab hold of it and be pulled up a wall. This resulted in so many deaths that the need to review the entire game is the only thing that kept me going. On the umpteenth attempt, she successfully grabbed the spirit. Why she did so on that particular try isn’t clear, as the same tactics were being employed as on every previous attempt. A girl and her fox — Perhaps glitchy happenings like those will be patched out by the time anyone reading this review plays the game. Unfortunately, its lack of gameplay innovation and progression will remain a glaring flaw, one that’s only exasperated thanks to the inclusion of a cooperative mode. A second player can jump in and play as the fox at any time, and this does make some otherwise frustrating moments spent swapping between Nuna and the fox in single player more palatable. Playing with a partner serves to make gameplay more bearable for you, but the second player will experience much of the same apathy that will hit you in single player. So this isn’t so much a complaint about the existence of a co-op mode as it is an issue with the game at large being dull. Traditionally, the Iñupiat wore heavy clothing made of caribou skins that is said to keep them warm even when temperatures plunge below zero. They would ride dog sleds, often had pet foxes and, yes, built igloos. They also deduced that the earth’s climate was changing well before the modernized world started making a fuss about it in the 1970s. 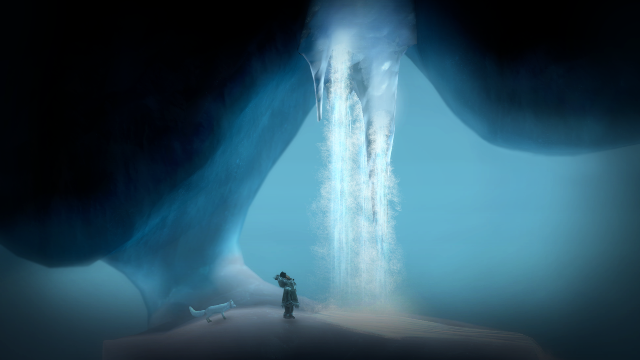 Never Alone exposed me to this culture, and I’m thankful for that. Unfortunately, it didn’t do so as part of a satisfying game experience, which makes it impossible to recommend anyone else learn the Iñupiat ways through the same means I did.